Product information "Sunwood TGS25M Glazing Support Bracket (5 Pack)"
Stops polycarbonate and glass units slipping! Steel, J-shaped support brackets. Design to stop glass and polycarbonate panels from slipping - one of the most common causes of conservatory roof leaks. 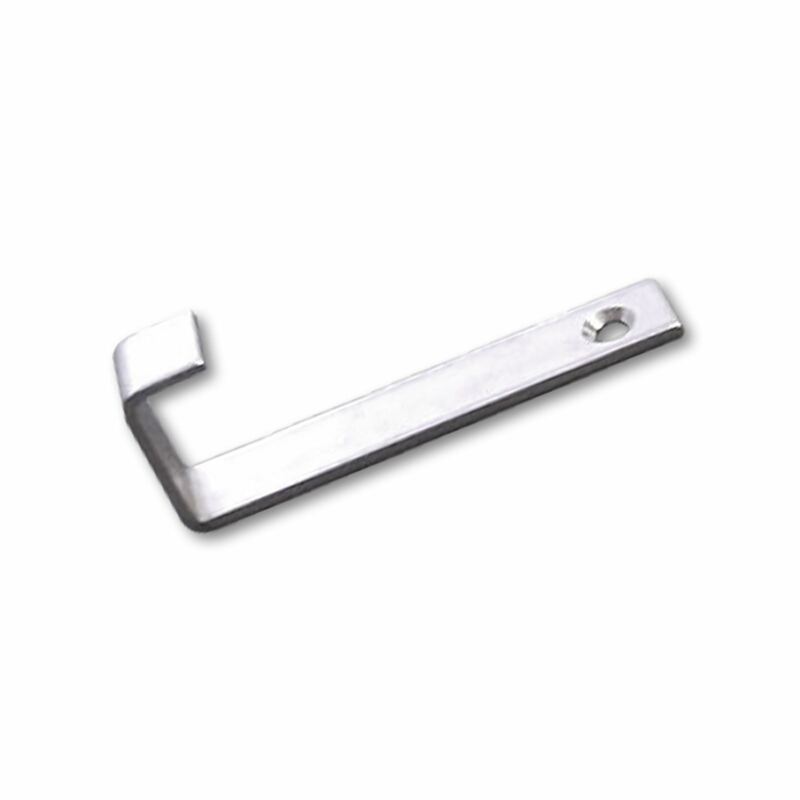 It is recommended that 2 x support brackets are used per glazing panel. The brackets are fitted to the timber eaves beam and hook over the front face of the glass or polycarbonate roofing material. Sunwood is the glazing system of choice for the fixing and weather-proofing of glass or polycarbonate glazing to timber roof structures. As an easy-fit system, Sunwood is being used increasingly by home DIY enthusiasts, as well as trade customers who have come to trust this high quality system. Firstly, decide on the resting position of the glazing material, allowing the required amount of overhang into the gutter. You can then determine where on the timber eaves beam each bracket should be fixed. We recommend that 2 x brackets are used for each glazing panel and these should be screwed down onto the timber eaves beam. Should you wish, you could optionally mark around the bracket and chisel out the wood to a depth of approximately 4mm to sink the bracket flush with the top of the eaves beam. 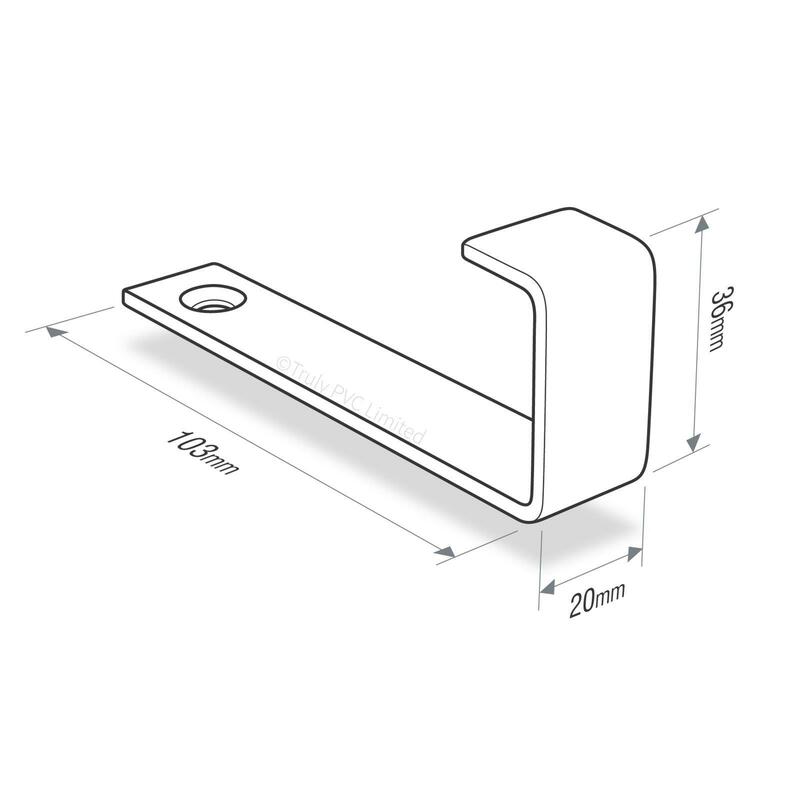 Related links to "Sunwood TGS25M Glazing Support Bracket (5 Pack)"
Customer review for "Sunwood TGS25M Glazing Support Bracket (5 Pack)"